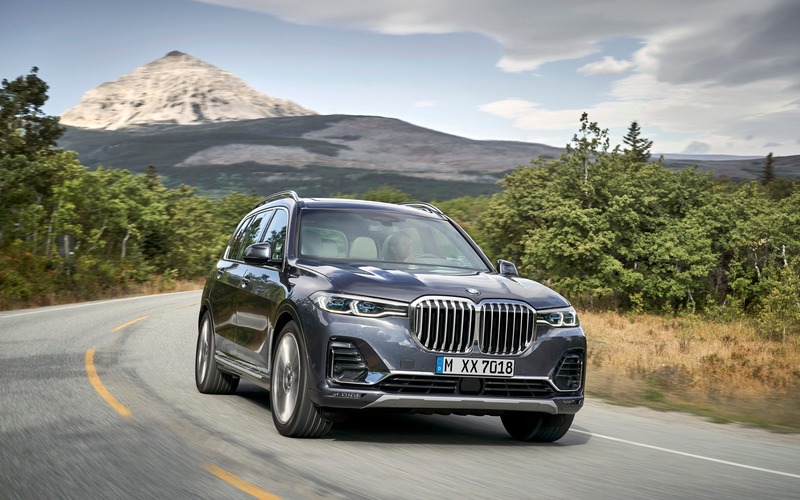 Rounding out BMW’s line of luxury SUVs, the new X7 aims to prevent the Bavarian brand from losing buyers to the Mercedes-Benz GLS. The X7 is a very important vehicle for BMW, particularly in North America, where nearly 65% of the automaker’s SUVs are sold. In fact, the automaker pointed out that Canada is the fourth-largest market worldwide for BMW SUVs. The X7 will be available in Canada in March. Buyers will get to choose between the X7 xDrive40i (starting at $92,500) or the X7 xDrive50i (starting at $110,100). BMW expects to sell between 2500 and 3000 units of the X7 per year in Canada. Measuring more than five metres long and two metres wide (with a wheelbase exceeding three metres), the X7 is a sizable piece of work. The kidney-shaped grille, which is the biggest the brand has ever made, only emphasizes its imposing look. The vehicle’s designers did their best to make this beast look slimmer. This involved adding carefully positioned curves and a strip connecting the taillights. The tapered light clusters and grille combine to underscore the vehicle’s width. There’s no doubt that this is BMW’s new flagship model for its X line. 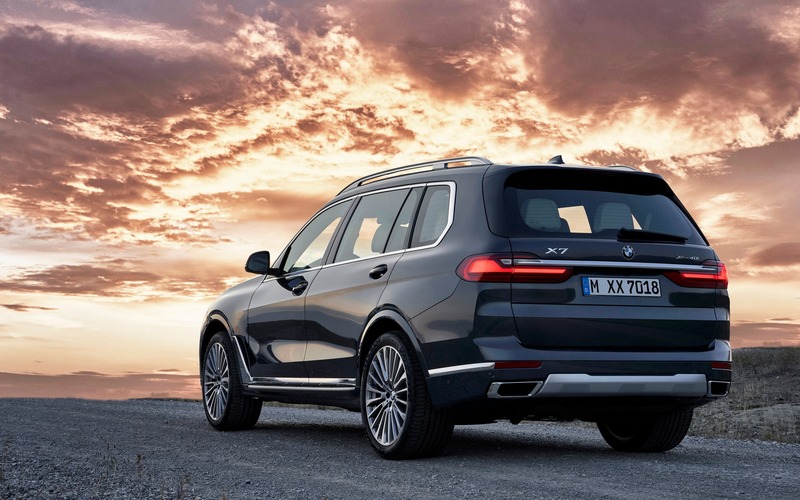 In Canada, the X7 will be powered by a choice of two turbocharged gas engines, including a 3.0-litre in-line six cylinder in the X7 xDrive40i and a 4.4-litre V8 in the X7 xDrive50i. Both come with an eight-speed automatic transmission and standard all-wheel drive. The new BMW X5 will soon be available with a plug-in hybrid powertrain composed of electric motors and a six-cylinder gas engine. Will this technology eventually make its way into the X7? It’s possible, but still uncertain for the time being. That said, we’re pretty confident that an M version of the X7 is already being considered. The 2019 X7 is equipped with an air suspension that features electronically controlled dampers and several settings, including one specifically designed for off-road driving. 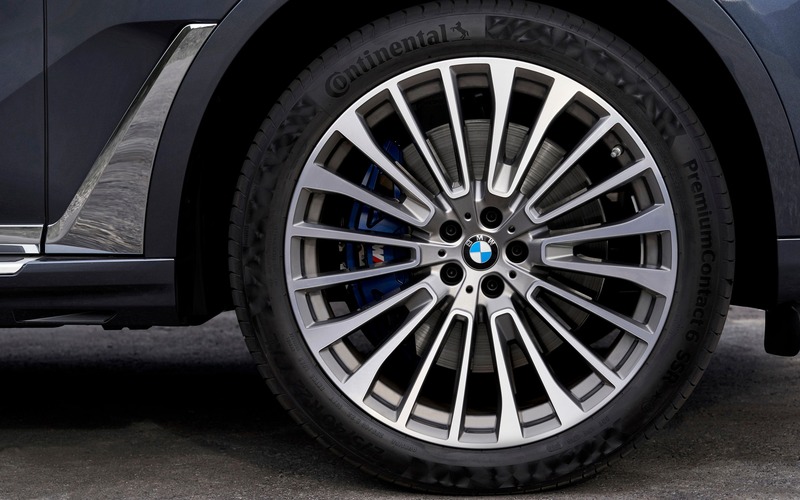 It’s fitted with standard 21-inch alloy wheels, though 22-inch wheels are available as an option. The optional Active Comfort Drive system uses cameras to monitor pavement conditions and it proactively adapts the suspension and active anti-roll bar calibrations to improve the vehicle’s dynamics and comfort. 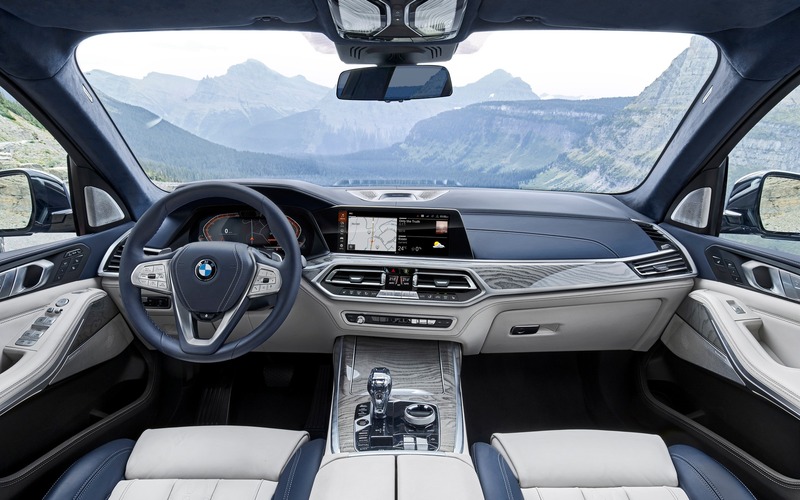 Equipped with a device called Driving Assistant Professional, the X7 will also be capable of autonomous driving, at a level that BMW calls “Level 2.5.” This means that the X7 will be able to control its movements when driving at less than 50 km/h on a divided-lane highway. The system determines whether or not the driver is paying attention using a face scanner. As long as the driver seems alert, the system will control the vehicle without the driver having to nudge the steering wheel every 30 to 50 seconds. The X7 has pulled out all the stops and this luxurious SUV can hold its head high next to the 7 Series. The X7 boasts an opulent interior, comfortable seats, advanced technologies and exceptional finish, not to mention a dashboard with two 31.2-cm colour displays—one that replaces the traditional instrument cluster and another that serves as an interface for the latest-gen iDrive system with customizable menus. For extra bling, buyers can add a Swarovski crystal gear shifter or a Panorama Sky Lounge LED Roof, which offers a starry display right over your head! BMW has updated its flagship 7 Series sedan for the 2020 model year, which will go on sale in April, with refreshed styling, new powertrains and new high-end technologies. Changes to the 7 Series’ exterior design extend to the hood, the headlights, the bumpers, the front fenders and the taillights.